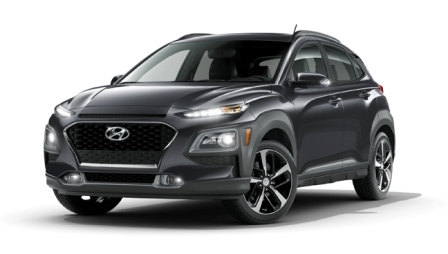 Part of Hyundai’s commitment as a brand, is to “help the society” and “improve humankind,” which is why the company is inviting Angelenos to join them in solving some of the issues that affect the Los Angeles community by entering to win a 2018 Kona Limited Thunder Gray. After reading and accepting the rules, follow the instructions to upload an original video (no more than 90 seconds) explaining how you are working to make the city of Los Angeles a better place for all. Hyundai’s mission and values coincide with their contest vision of reimagining a better Los Angeles, and it was only right to lead by example. Recently, the company launched, “Hyundai’s Road to Taste of Soul,” where they highlighted four local organizations to give back to. This year, Hyundai decided to focus on local organizations that were helping children. “One of the things that is unique about Hyundai is that we are a brand that likes to consider the possible and find new solutions to solving societal issues and any issues we have. 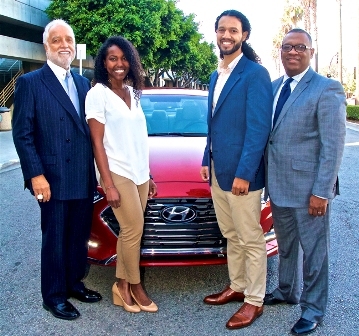 We have done so from the history of our car company to our products and services and that extends to our commitment to society,” said director of Corporate Social Responsibility and Diversity Inclusion at Hyundai Motor America, Zafar Brooks. The first stop took place in early August at the 20th annual Mothers in Action Back To School Health & Family Festival. During the event Brooks, on behalf of Hyundai, presented the non-profit organization, Mother’s in Action with a $2500.00 check. The second stop took place later this month at the New Image Emergency Shelter for the Homeless. While there, Hyundai presented a $2500.00 donation. The third stop will take place in early September at actress Wendy Raquel Robinson’s Amazing Grace Conservatory. The final stop will take place at the 13th annual Taste of Soul where Brotherhood Crusade will receive a monetary donation. “We are asking people to be a part of this journey of solving problems that affect our communities, and work together in bringing new solutions, that will benefit people, society, and the planet. That is what it’s really all about,” said Brooks. The contest begins at 12:00 p.m. Pacific Time on August 21, 2018 and ends at 11:59:59 p.m. Pacific Time on November 5, 2018. Please note all videos must comply with all the video requirements and submission information. For a complete list of submission info, video restrictions, prize winner selection, and conditions of entry please visit www.tasteofsoul.org.